Tata Nano. 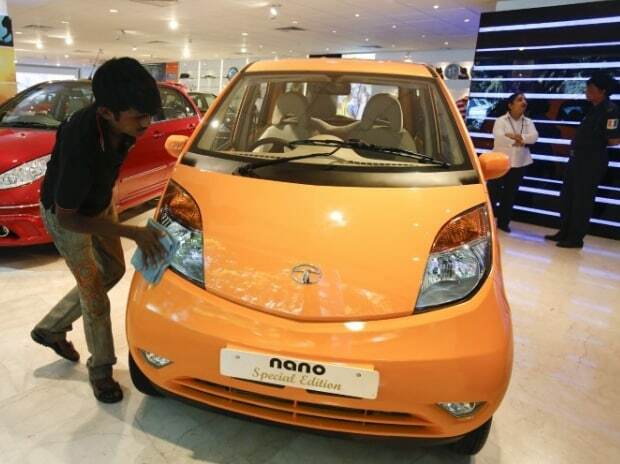 File photo Once billed as the world's cheapest car, the Tata Nano is set to make a comeback in an electric vehicle (EV) avatar, according to reports. The Tata Nano electric, according to an Autocar India report, will be launched on November 28 under a new name — the Jayem Neo. However, Tata has a limited role in the Nano's comeback. According to the report, Tata Motors will only supply complete Nano body shells to Coimbatore-based Jayem Automotives. These shells will be supplied sans the engine and transmission. Subsequently, the report adds, Jayem will manufacture and market the EV. In fact, this version of the Neo will not carry the Tata badge. Citing sources in the know, the Economic Times reported that the electric motor and power train will be fitted into these empty shells at Jayem's facility in Coimbatore. The report added that the vehicle's launch announcement was likely to be made in the next few days. According to the Autocar report, Jayem will be sourcing the electric powertrain from Electra EV, which is a specialist firm that designs, develops, and supplies electric powertrains, battery packs, and charging infrastructure. Powered by an electric system that generates 17Kw (23hp), the new EV, according to the report, will be able to travel 140 km on a full charge with four occupants and air-conditioning. The report described the Neo's power output as "modest" for a car its weight and added that this version of the EV would be available only for the commercial market. Further, according to the report, currently, the Neo will be sold under the Jayem brand, but Tata Motors is likely to come out with its own version of the Neo in the future. The new EV also reportedly already has orders in the pipeline. According to Motor Octane, Prime Minister Narendra Modi is likely to inaugurate the Tata Nano Electric for Ola Cabs on November 28 this year. The report adds that these EVs would be used by Ola Cabs in NCR/New Delhi. Further, according to the report, Ola will deploy 400 Tata Nano Electric cabs in the initial stages. While the report did not mention the Jayem Neo, instead calling the new EV the Nano Electric, going by reports, it is indeed referring to the Neo. According to Autocar, Ola will take delivery of the first batch of 400 Neos from Jayem at the EV's launch. As reported in March this year, Tata Motors formed a 50:50 joint venture (JV) with Jayem for developing special performance vehicles. According to agency reports, the JV firm, JT Special Vehicles, will develop a range of performance vehicles in a phased manner at a dedicated line, which was being explored at Coimbatore. As part of the agreement, Tata Motors and Jayem would work towards performance enhancement and appearance of series vehicles to offer an exciting and innovative range of niche aspirational products for passenger car customers.